The conventional model that considers better sleep, nutrition, and exercise to be separate lifestyle components is radically ineffectual. The integrated triad is the base for every aspect of our health. Nutrition is not merely weight loss dieting. It is harnessing our body's natural metabolic flexibility during the real-world nutrient-use changes it undergoes. In the end, physical activity is not merely a weight-loss tactic, it is crucial for the nutrient-use patterns that underlie our basic metabolic health. Poor sleep quality has been shown to deteriorate weight management and fitness performance initiatives even though it was once considered purely "rest". How does it do so? Primarily through the metabolic dysfunctions that diet-only advocates do not understand. In fact, sleep processes are increasingly revealed to be the cornerstone of metabolic, mental and emotional health in general. The weight-loss "caloric energy budget" is not the only accounting that matters. In fact, it is misleading to focus exclusively on caloric balance without understanding that the availability of nutrients in various situations is even more important. Even though physical activity is a highly efficient enterprise (and thereby inefficient for weight-loss alone), when it comes to the actual nutrient-use dynamics of the body, loading up with fuel without planning to go anywhere is akin to revving up your car without putting it into gear. In the end, you'll only generate a lot of noise, and smelly air. Discover why the tired old model of incessant dieting does not work. In today's weight loss climate, it has become trendy to appear scientific by pointing out the inefficiency of exercise for weight loss. This merely perpetuates the problem of considering exercise as only a weight-loss tactic to address our caloric energy budget (energy-consumed minus energy-burned). This simplistic diet-only approach to health management does not understand the body's basic nutrient-use characteristics and the metabolic dysfunctions that arise from an inactive lifestyle. Moreover, in recent years, poor sleep and circadian rhythm misalignments have been shown to impact basic energy dynamics in a fundamental way. We'll teach you why a diet-only approach is radically irresponsible and why expert assistance can sometimes help you renew a path to feeling and performing better. The key is to: Integrate your triad! Why Not Just Use Your App? You should still use your tracker & apps. Studies have shown, however, that trackers and apps are not reliable when the information is not contextualized. Without a proper background, they simply amplify our existing biases. It takes context to make isolated data meaningful. The whole point of the TriNourish set of educational platforms is to address the reflexive notions about sleep, nutrition and exercise that we carry. Moreover, those seemingly self-evident notions radically impede our health & performance. Once we understand that we still undervalue the lifestyle advice that we hear nearly every day because we retain reflexive notions about better sleep, exercise and nutrition that are inaccurate; and once we glimpse how the three domains actually integrate to either snowball a vicious cycle of metabolic & mental dysfunctions on the one hand, or collectively leverage better health & performance on the other— we no longer consider them just another set of lifestyle practices for "looking good". The integrated physiology functions for each of us in a way that is far more profound for our basic health and sense of wellbeing than simply a positive impact on body aesthetics. It's about basic metabolic & mental health. It's about keeping disease at bay. It's about YOU. Sleep is the cornerstone of health? How can that be? Sleep is passive rest, is it not? The answer, in fact, is a resounding NO! It turns out that sleep is not rest. Sleep-dependent processes are actively at work every night performing a myriad of specific functions. If those functions are cut short, the impacts are far more widespread than simply a diminishment of our energy and our mood for a day. Basic cardiometabolic, mental, emotional, and immune health are routinely impacted by chronic poor sleep in our culture, and those impacts directly translate into adverse health issues such as obesity, hypertension, heart-disease, diabetes, anxiety, depression, dementia and cancer. It turns out that sleep quality often impacts diet and exercise initiatives more than diet and exercise initiatives impact sleep quality— although the main physiological interactions form a rich two-way network of relations. That network, in fact, weaves together the very fabric of our mental, emotional and physical lives. Sleep is the Master Weaver— but WE supply the novel design. The strategies to harness these profound connections have been systematized on the Nourish Sleep member platform from TriNourish. This platform follows that trajectory into the domains of nutrition and exercise. 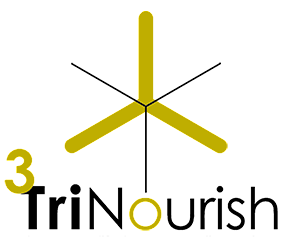 Members may begin the optimization process under LEARNING or transfer to the Nourish Sleep platform. You may start with the Nourish Sleep platform to engage your custom tailored sleep optimization pathway. Simply take a few minutes to go through the assessment process and you'll gain access to a library of learning resources and optimization techniques. Our assessments present individualized pathways in a custom-tailored manner. You will learn in-depth information for health and performance through self-guided learning. Alternatively, you may request additional customization through follow-up sessions. Our systematic approach is based on empirical evidence. The process is non-clinical because the goal is a preventative, pre-pathological approach to health & performance. You remain anonymous throughout the entire assessment & education series. You'll discover WHY metabolism is situation-dependent and HOW physical activity is a fundamental feature of our basic physiology. If you don't want to start through the Nourish Sleep gateway, you may begin with the Diet & Exercise Characterization below. 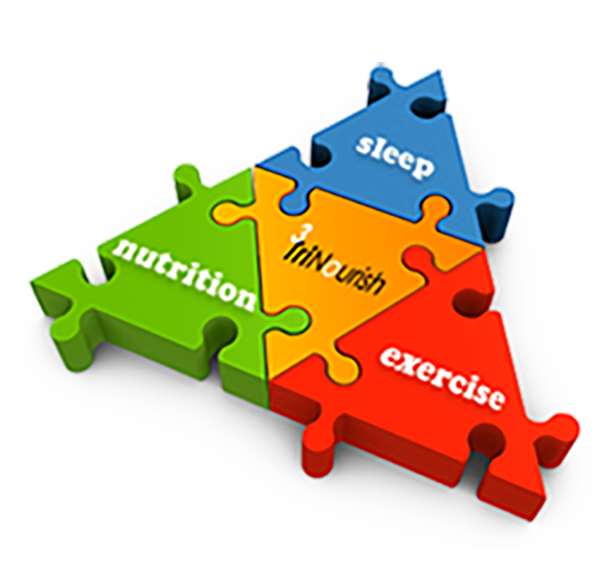 The TriNourish System is a process that integrates sleep, diet and exercise optimization through individually tailored assessment pathways. The program usually begins with the Nourish Sleep assessment-and-education platform. Upon completion of the assessments, users follow sleep-optimization learning trajectories into the integrated domains of diet-and-exercise physiology. Alternatively, members may begin through the Diet & Exercise Characterization assessment below and gain access to the self-guided F.U.S.S. Module learning series before proceeding to Nourish Sleep. 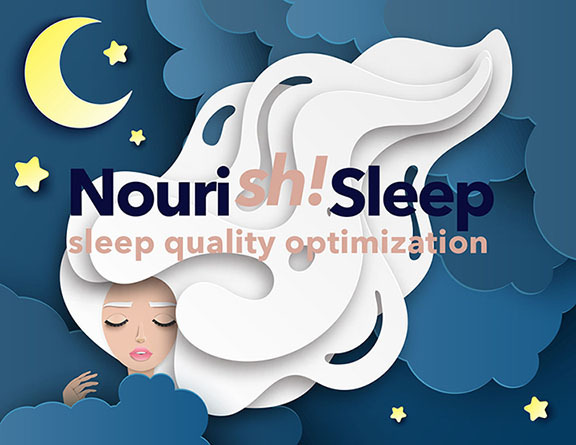 If you have completed the Nourish Sleep component, or if you choose to begin your optimization journey with your Diet & Exercise Characterization, select the button below. The Diet & Exercise Characterization constitutes the diet and exercise components of the TriFold Baseline Assessment. It provides baseline grades for beliefs, behaviors, and patterns associated with these components. Upon completion you may choose to follow-up with a credentialed nutrition and fitness expert or learn more through the F.U.S.S. Learning Series before seeking assistance when warranted. The introduction of an effective fitness program that aligns with your current capacity and goals is available through your host entity. You may also begin directly through the LEARNING link on the top navigation bar and footer. Utilize your same Member Access Code to access the F.U.S.S. Module Series. NOTE: This is the DEMO platform; No Code is required.